Are you new to family history research? Or maybe you are a seasoned genealogist? Well, I am here to help you no matter what your level of experience is. Need someone to show you the way on your family history journey? Let Owain be your guide as you discover your ancestors and build your family tree. Plenty of useful guides, tips and reviews that will help you with your research. Please check out the useful guides, tips and reviews right here within the 5 areas of the site. There is plenty of guidance here to help you on your way. Guides to free genealogy and family history resources! Guides and tips to help you research, write and preserve your ancestry! Research your family history with this Ten Step Guide! 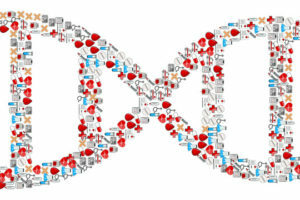 DNA testing, software, websites, and much more! Important genealogy and family history dates and events! Here are the latest posts and reviews that discuss a range of different genealogy topics. I practically cover everything and anything when it comes to family history research. 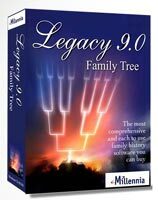 Legacy Family Tree Software and More To Check Out! 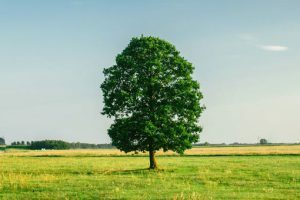 Why Build A Family Tree and How Long Does It Take? 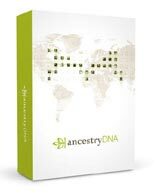 Latest Genealogy Deals and Bargains! 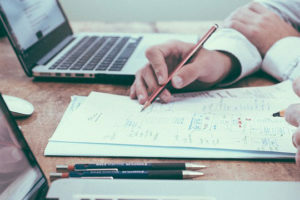 Discover your ancestors and save money at the same time by taking advantages of these great genealogy deals and bargains. Please note that the following deals contain affiliate links, which means that I will receive a commission from a sale. You can check my Affiliate Disclaimer for more information. Testimonials – What Are Others Saying? The Genealogy Guide prides itself on offering information that is easy to find and understand. I am pleased to say that these efforts have been recognized within the genealogy field. I hope you find The Genealogy Guide website both helpful and useful. If you have any queries, comments or questions then please comment below or contact me. Please share with your friends and family if you think this site will help others by using the social media buttons at the top. Hey Owain, its my friends birthday soon, her name is emma can you please say happy birthday to her. shes a big fan of yours!!! My mom absolutely LOVES genealogy, I’m going to have to share this website with her. She even took a college class on it and did the whole 23andme thing. That’s great Rachel. Genealogy is a wonderful hobby, learning all about your ancestors and where they came from. It can be quite addictive. Thank you for sharing this site with her. That is very kind of you. Please if there is any one else that you think that can benefit from this site then share with them also. Please also refer your mum to my Where To Upload Raw DNA Data For Free post. There will she get even more results from her DNA absolutely free. Oh this looks so interesting. My Mum had started looking into our family tree. She found a few relatives that lived close to her that she hadn’t even known about. The site she was previously using got a little expensive and she stopped, but everything is on her computer. I like this site and the tips you share. Think I will direct her here to see if she can get back into it using the 10 step guide. I wondered whether a page could be added for folk who could post their own questions about their families, or share their success stories. Everyone loves a good story. Thank you for the compliment and suggestion. That is a great idea. There is plenty of useful guides and tips here that will help her. During the 20 months or so since I first started this site I have covered many topics concerning genealogy. So if there’s anything that interests your mum then chances are that it will be here. Hi Owain! I am so happy that I found this website as it is very informative! My sister and I took a test about a year ago, and it was fascinating! You see, she is my half sister, so I was able to figure what traits came from my Dad’s side compared to my Mom’s. One question I have always wondered about as both of my parents are no longer living is, do any of these tests over the internet take hair samples? Thank you. That’s a really interesting question Colleen. Thank you for asking it. From what I have discovered there are DNA tests that do take hair tests. But what I have seen it is only for paternity, and so not for tracing your ‘roots’ as such, lol. thank you owain, I will have a close look and hope to find somethig. Great website! This should generate some interest as it has mine. I will most certainly share this site with family members that I know have long been talking about doing a family search. Supposedly, our family goes way back to the late 1800’s and the Royalty of Spain. I don’t know but this may just be the key that opens doors. Thank you for sharing. Thanks for your comment Xavier. That is interesting about your family history. I have not yet explored Spanish ancestry but I do intend do, (as well as other European countries), in the future. 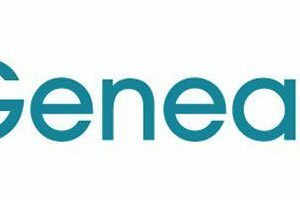 Please though check out the rest of this site as there will be useful information, guides and tips that will help you with your genealogy research. Hello Owain,I remember one of my uncle did search our family tree, and he couldn’t go further than the sixteen century. I just wonder if it’s would be to go further? Thanks for the query. I have checked this out and have found a couple of sources that will help you. If you go to Family Search and scroll down to the bottom you will see a useful table that shows all sorts of records and when they date from. There are some that date before the 1600s. Underneath that table is a list of links that can help your search. Also, I have found Global Photograph Index which is free on Ancestry. It maybe hit and miss but it could help you. Huge help! There is just so muchts site. I just don’t know where to start. You offer so much advice and help on everything that is genealogy. I cannot wait to start to trace my family tree. Thanks for dropping by and leaving the compliment. Yes genealogy is such a big hobby. There is just so many different avenues of research. I have tried to cover all of them on this site, but if there is something that I haven’t covered then please feel free to comment or contact me personally. Please check out my Ten Step Guide. That’ll help you get you on your way. Awesome site, I was always very interested in genealogy! I have tried to search things about my last name and where they come from but nothing to find! Thanks Jon. Genealogy is an interesting subject because we just don’t know what we will find out about our ancestors. And there is just so many places where we can look. Please check out my What Does Your Surname Mean post for some useful insight into your last name. I always thought of doing up my genealogy but never knew how to go about it. All the ideas and suggestions that you are giving in the various articles will be a tremendous help to anyone wanting help to set up such a website. I am impressed with the amount of info you have on this site. Nice! Keep up the good work. Thank you Bosco for dropping by and leaving a comment. I do cover a lot of different genealogy topics and you will find plenty on this site. At present I have written 182 posts. I have just scratched the surface and I have plenty more to write about. You can subscribe to my mailing list which will keep you informed when new posts are available. This is very nice website that you have. I love the way it is so clean with the layout and a joy to see. The pictures really tell the story and I love what your are doing and thank you for this. Thank you very much Paul for your kind comments. That is most kind of you. I have worked hard on this site. I have tried to cover as many areas of genealogy as I could whilst also make it easy to navigate, interesting to read and easy to follow. A very powerful professional website with a very separate but interesting topic, finally, everything starts with family and your history. Thank you for your kind words Hope. I am glad that you like my site. 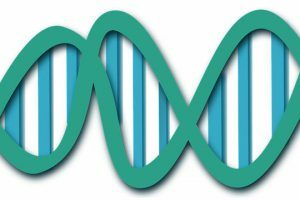 You will find plenty of useful guides and tips here, as well as reviews for genealogy software, DNA test kits and sites. And I also cover the origins of many special family days. Great stuff, I have always wanted to pursue this and you’ve got lots of great info to share. Thanks. Thank you John for your kind comment. There is plenty of guides and tips that I share on this site. So please feel free to have a look around. Hi, I found your site very helpful and it has led me to the right places for me to continue to do my family history research.Much appreciated thanks. You’re quite welcome Peter. I cover plenty of topics on here so I am glad that you find my site helpful. All the best for your genealogy research. Great info. Easy to navigate. Attractive looking site. Thanks very much Pablo. My aim with the site is to not only provide useful information but that it can be found quick and easy on the site too. I’m glad that you like the site. Very exciting information and I did enjoy reading your article, Hope to learn more. Thank you Cinderella. Explore the site more and you will find lots of guides and tips that will help you with tracing your family tree. Owain, you have a great well thought out website on Genealogy and if it wasn’t for the fact that I have been researching my own family history for nearly 20 yrs now I would take advantage of the things offered. I have even had my DNA taken. Thanks for appreciating my genealogy website Carol. Why not check out my Write and Publish Your Family History section. So if you haven’t yet recorded your stories then you will surely find some great tips there. Owen, I really like it already the way it is, but you could re-valve some of the chosen pictures to keep everything fresher ever 3-4 months and add other advertisers like Scrap booking or a genealogy Books, and crafting tools to make the Ancestors Geneology Book fancier for the other Members to pass down to their children that tell the story of your families life history and how they came to america. Teach this to your readers too. Each Geneology Book can be Uniquely Theirs. Thank you Susan for your comments. I do want to add a new section in the future that will look at genealogy supplies and products. Keep checking back as I do have big plans for the site. Hi Owain, you have done a wonderful job on your site! Very informative and well laid out! I will definitely refer people here who are looking search their family history. Love it! Thank you Tracey for the compliment. Since creating this site over a year ago I have added so many guides and tips to help the family historian. There is just so much more that I can cover so keep checking back for more useful advice. Very nice!! There is just so much information here I just don’t know where to begin, I will be back to visit more closely. You did a great job! There is plenty of useful guides and tips on this site. If you beginning your genealogy journey then I might suggest that you check out my Ten Step Guide. It will put you right on your way to discovering your family history. All the best. Owain I love your site, so much information and links to helpful software and other information. You have done a very professional job. Well done. Thank you very much Barbara for your kind comment. I absolutely love researching my family history and I really like helping other people research their ancestry. You’re quite welcome Fee. I have tried to make the site as organized and easy to use as possible. I will continue to do so as I add more and more helpful posts to the site. Thanks for such an information rich website Owain! I am starting my tree tonight! My pleasure Brady. All the best with your family tree research. Excellent website with loads of resources. I will send to all my friends and make use of it myself. success to you further along. Thank you Gary for your kind words. Pleas share with friend and family as well. Great site, full of wonderful information. I will definitely share this site with family and friends. Thank you Debbie, that’s kind of you to share my site with your family and friends. I hadn’t thought of where to even begin to search for my ancestry. 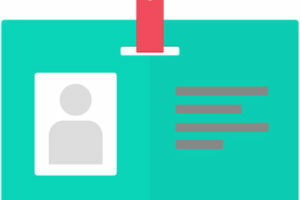 This site looks incredibly inforamative, interesting and useful too. Thanks for the information. Thank you Aracelis. I have covered many different topics about genealogy. There is just so much information out there that we can find about our ancestors. The trouble is where and how to find it. That is where this site comes in. Not only do I provide useful guides and tips but you will also find reviews for products and services that will help you on your genealogy journey. Check out my Ten Step Guide to get you started on your journey. This is a great website. I hope that you continue and keep up the good work!!! I am definitely certainly going to share this with my family members. It’s my pleasure Vishal. I am glad that you like my site. I have put in my heart and soul into it. It has been a labor of love. Keep checking this site a I am always adding more content. Very interesting site! My family clan actually has an ancestor book jotting down everyone names and certain generation have one same word in their name besides the surname. However, come to my generation, this is lost. Hi Wendy, that’s great that your clan has an ancestor book. It must be interesting to see the names of your ancestors. Is there any other details in the book? That’s great Shannon that your family has already begun researching your ancestry. That will save you a lot of time finding and collecting information. To begin you can ask your relatives for all the information that they have on your ancestor and take it from there. All the best to you on your genealogy journey. Thanks Chris. I don’t though trace people’s family trees but I do offer guidance. Please check out my Ten Step Guide to begin your family history journey. I find your website very interesting. I will surely share your site to my friends and family. Thanks Jeannett. I have amassed a wealth of information here. I am to post every few days and that doesn’t look likely to slow down. Thank you so much for this awesome information. I have searched for my family history before thru some sites but the costs were too high so had to put it to rest. I am going to bookmark your site and come back for more. Thank you again. Thanks for dropping by Merry. Through my site you will get practical and sound advice on how to start and progress with your family history. Enjoy the journey. Very informative. Will surely visit it often and recommend it to others if need be. Thanks Magdalene for dropping by. I am adding new guides, tips and reviews all the time. Also, I cover many different topics within genealogy so there will be something here that will interest you. This is a very nice and informative site. Thanks Robert for dropping by and liking the site. Please check it as there is plenty of guides, tips and reviews that will be helpful to you. You are most welcome. Hope you find the guides and tips to be most useful for your genealogy research. At present I have given a general approach to tracing your ancestry. In time I will become more specific and will provide guidance for country specific questions. I am glad that you like the site. Thank you. 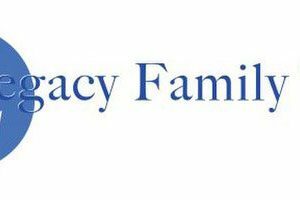 This site is amazing packed full of information that is helpful and useful.. What an interesting topic to people who are interested in knowing how to get information on their family history. I will be back to visit often and thank you for creating this.I will share this site with my friends and family. Genealogy is such an interesting hobby. You can find out so many wonderful things about your family, who your ancestors were, where they lived, what they did for a living and more. You can also share what you have found out by writing a book or creating a photo book. I love your site I have wanted to research my family history for some time but, like you stated it can be daunting to say the least. I especially like the ten steps that you can included to discover your own family history. The tools are just and added bonus great site and I plan on book marking for when I start my search. What an excellent site. You have put in much effort and commitment into building it. You step by step guide is excellent guidance to get started searching your family history. You provide numerous sources to be able to utilize searching. My favorite part about your site is the dedicated family days. I did not realize there were as many as there is and I thought that was great. I will be surely bookmarking your site as my family genealogy has always interested me. And I want to begin sharing the special family days with my family. Thanks for providing such a great site. Thank you so much. Your comments mean a lot to me. I want to provide a site that can be informative and useful as well. I feel that the ten step guide is a good way to conduct your family history. It helps you get the most out of your research. As this is a family oriented site I thought it was a good idea to include a section about all the special family days there are during the year. I just didn’t know how many there were when I started writing this section. Once again thank you for the compliments and all the best for your genealogy research. This is a very interesting site and a few of my family members are really interested in doing the family tree. I will get them to check out your site! Thank you for finding my site interesting and sharing it with your family. I have certainly put a lot of effort into it. I want to create a site that is informative and helpful with my guides, tips and reviews. Owain, your site is awesome! I hope to use some of your resources soon. Unfortunately, most of what I thought I knew about my family is un true. Those who know seem to want little from me. I still want to know. It’s great to have pride in where you come from, yet I would feel great to know anything at all. Thanks for your great service. I’ll be back soon. I am glad that I can be of service to you. There is plenty on the site already to get you started. Hopefully in time your family will open more to you and you can document it. You can assure them if you wish that the information will not go public. Owain, I am most certainly going to share your site with my brother, who is very interested in family history. I love the fact that you expanded it to include Special Family Days, which I will most certainly use. Your site is informative and I’ll be using it from time to time. Thank you. Thank you for sharing. I want to pack this genealogy site with so much genealogy information. As it is a family site I thought it would be quite interesting to include all the special family days. I couldn’t believe just how many there were when I started the section. That’s great. Please check out the site often as I am often new helpful information all the time.